Morgan, Levitt and Malek show how to overcome barriers to execution in your organization. They identify the six INVEST imperatives that will enable you to do the right strategic projects –– and to do those projects right. 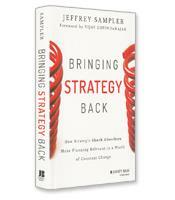 Even a brilliant strategy can’t save an organization if its leaders cannot execute the strategy effectively. According to recent studies, fewer than 10 percent of well-formulated strategies make it to a successful implementation. 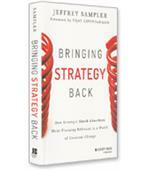 In other words, about 90 percent of strategies fail to deliver what they promise. 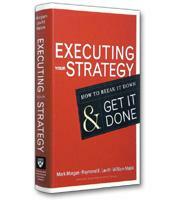 To help leaders overcome tough odds for strategic success in an increasingly competitive economic landscape, co-authors Mark Morgan, Raymond E. Levitt and William Malek have written Executing Your Strategy to share their best advice on how to get a well-planned strategy off the ground for any organization. Through their work with the Stanford Advanced Project Management Program, the authors have broken down the essence of strategy execution into six imperatives whose initials form the acronym INVEST: ideation, nature, vision, engagement, synthesis and transition. When the authors write about the ideation imperative, they describe the importance of clarifying and communicating the identity, purpose and long-range intention that help stakeholders join in the strategy. The authors explain that clear ideation helps customers and investors decide where they want to put their money and time. The nature imperative the authors discuss involves aligning the organization’s strategy with its culture and its structure. The authors review the case of former HP CEO Carly Fiorina as an example of failure to get the needed alignment. The authors explain that part of her problem was failing to align HP’s strategy, culture and structure. The fifth imperative is synthesis, which involves monitoring and aligning project work. This part of the authors’ formula makes the connection between “doing the right projects” and “doing the projects right.” This involves the continuous back and forth that takes place when the portfolio of planned projects is aligned with the realities of the organization’s actual portfolio. And, finally, the authors show how project outputs are moved into the mainstream during the transition imperative. By successfully completing the transition stage, an organization reaps the benefits of the project and can then redeploy its resources where they are called for by the portfolio. This six-part plan to effective strategy execution can help any leader improve the performance of his or her organization. By showing strategy leaders how they can turn strategy into action, and action into results, the authors offer them many smart ways to reach their goals.